In a chess game, the King is the most important piece because the aim of the 'war' is to protect the King. That's why, the King is so special in the game. Furthermore, the King piece commonly use as the symbol of the winner in chess game and often applied in chess trophy, giant chess decoration, chess school, etc. 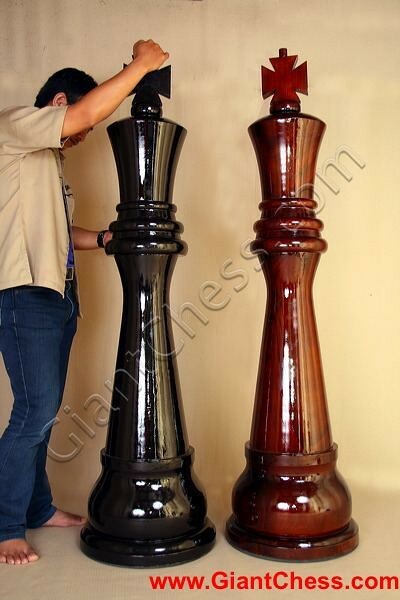 The tall King chess pieces which has made from Teak wood, is kind of giant chess products and commonly use for house decoration. It is perfect for outdoor decoration such as in your backyard, patio, beach, camping ground, etc.